Article Dec 08, 2017 | By Angelo DePalma, Ph.D. Processing a GeneStrat liquid biopsy test onsite at the Biodesix CLIA/CLEP-certified laboratory. Liquid biopsies are minimally invasive and relatively inexpensive sources of information about disease, but also pose challenges for analysis. Exiqon, a QIAGEN company, offers highly specific and accurate PCR solutions designed to maximize insights from liquid biopsies, despite low RNA content, high levels of inhibitors and susceptibility to preanalytical variation. Busser mentions several new techniques, such as allele-specific amplification refractory mutation system PCR (ARMS), bead emulsification amplification and magnetics (BEAMing) technology, allele-specific PCR (AS-PCR), droplet digital PCR (ddPCR), next generation sequencing (NGS), and others. These methods have analytical sensitivity as low as 0.005% for mutant compared with wild-type DNA. Purification kits based on magnetic bead separation are common for this purpose. Most involve sample incubation with particles attached to agents that bind nucleic acids, followed by application of an external magnetic field, washing, and the release of target DNA. PerkinElmer’s solution, the chemagic™ instrument and accessory line, is more suitable for automated sample preparation and, according to the Company, more sensitive and accurate than conventional techniques. The chemagic system employs magnetized rods inserted into the sample, which pick up beads carrying the target. Beads bearing DNA of interest are released by de-magnetizing the rods, thus reducing the number of manual steps. In a complicated world, the future is about to get simplified. 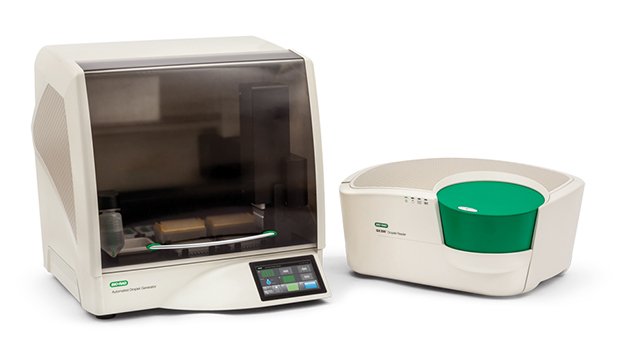 Automated droplet generation now makes digital PCR even simpler. 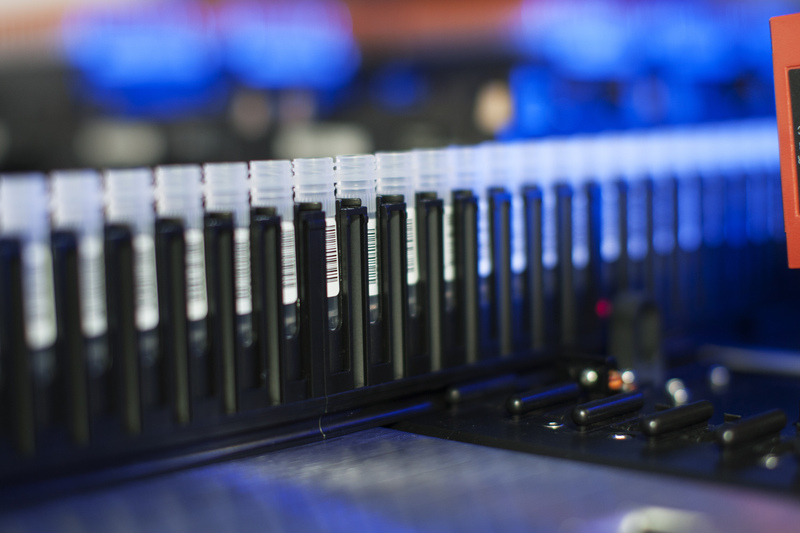 Bio-Rad’s Droplet Digital PCR systems redefined the limits of nucleic acid detection. The automated droplet generator now makes this technology scalable. Find out how automated droplet generation will make Droplet Digital PCR practical for all throughput needs.